For the Flow problem, can you add here a screenshot? I tried it with SP Workflow 2010 and it works correctly. 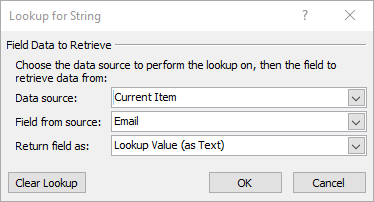 In WF use simply return field: Lookup Value (as Text). 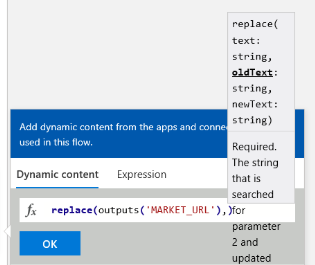 In Flow you can create Variable and in variable use expression Replace('#','') or Replace("#","") for the email input. It will work.
" or ' depends on environment location i think. Not the answer you're looking for? 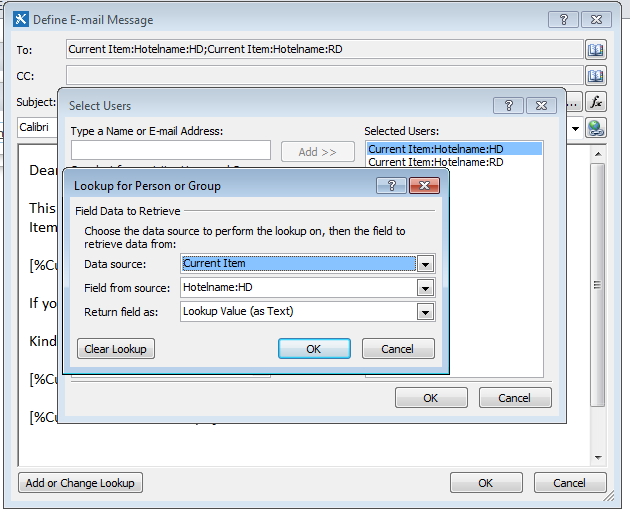 Browse other questions tagged email workflow-lookup or ask your own question.